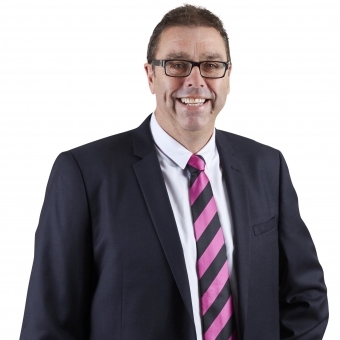 I am one of the most experienced real estate representatives in Launceston and the Greater Launceston region and I am excited to join Parry Property to bring a fresh and innovative marketing approach to his clients properties. I have particular expertise with large rural holdings as well as smaller lifestyle hobby farms and residential subdivisions. The serious nature of a real estate transaction calls for critical attention to detail, and I stay with current with industry knowledge and legal aspects to minimize risk. Your concerns and questions are a top priority and you can count on me to be readily accessible. I carefully monitor each transaction, providing guidance each step of the way. A ‘natural networker’, my achievements include highest number of rural sales in Tasmania in 2004 and yearly superior sales achievements in from 2007 up until 2017. My sales achievements when combined with my approachability, honesty and forthright manner make communicating particularly easy and I pride myself on being able to build enduring business relationships with many new and repeat clients. I am married to Michelle and we have one child. In the past I have been involved in various community events and I am currently coaching junior football at Launceston Football Club. If your curious about your property's value today, get in touch with Wayne for a FREE MARKET APPRAISAL. It's simple, fast and based on our professional knowledge and experience.